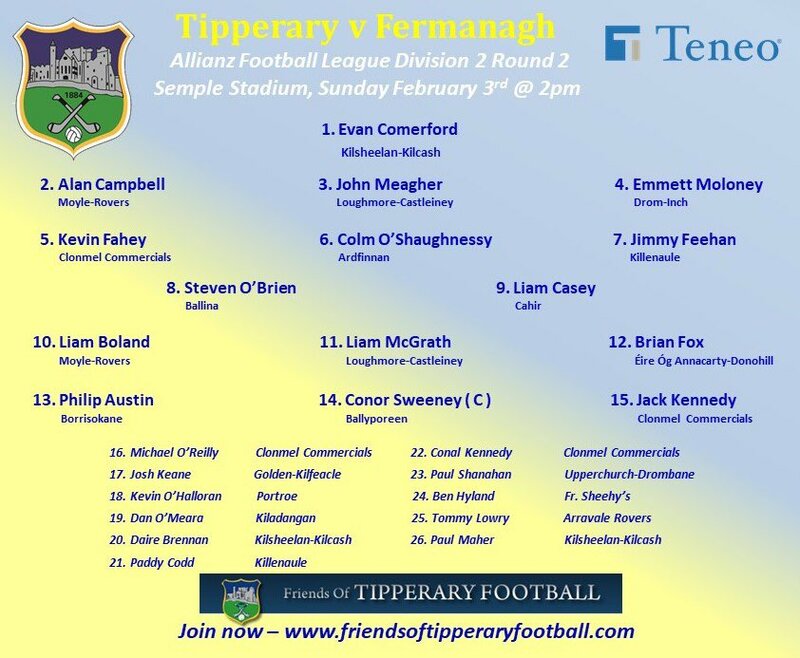 Manager Liam Kearns has announced the starting fifteen for Sunday’s clash against Fermanagh in round two of the Allianz League. 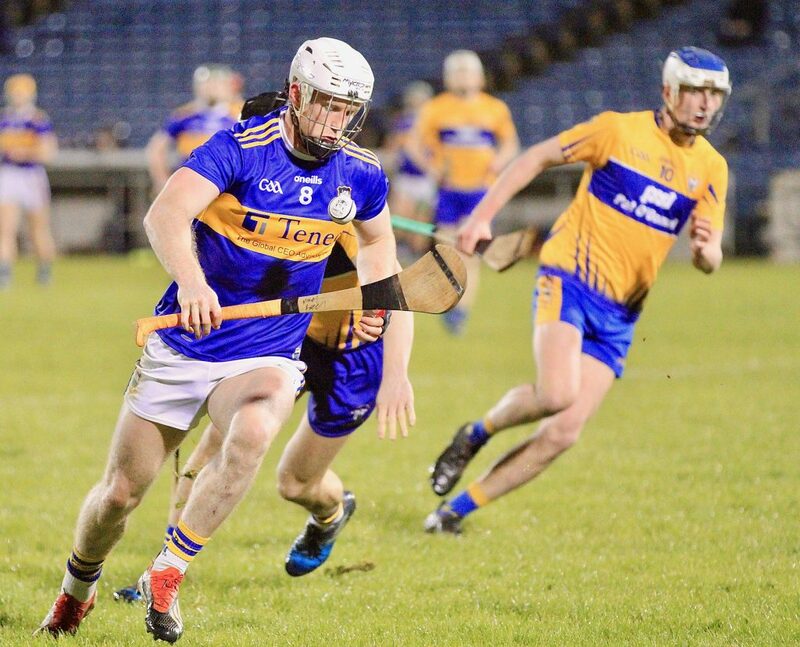 After last week’s disappointing loss, Tipperary will be anxious to get two vital points to kickstart their season. 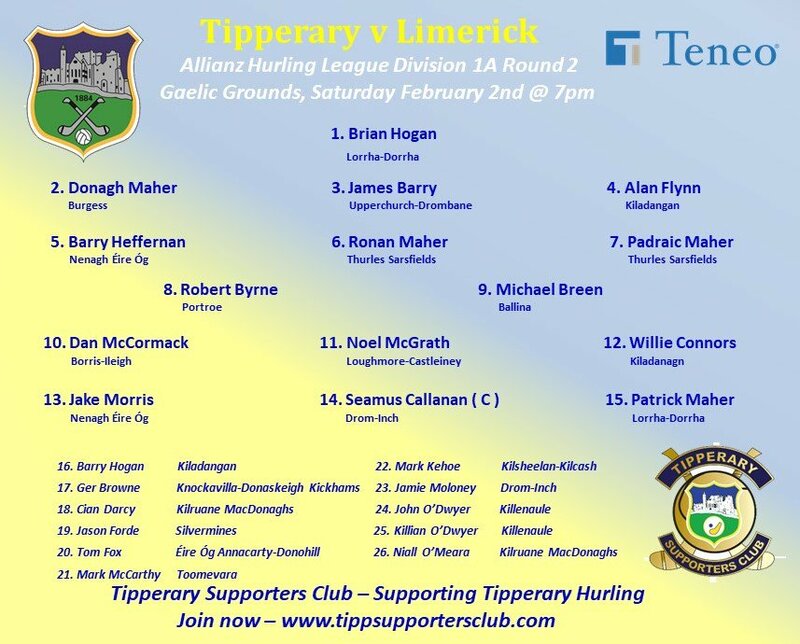 Meanwhile senior hurling manager Liam Sheedy has revealed the team to play Limerick tomorrow evening in the second round of the league and following last week’s stunning win over Clare, Tipperary will be determined to continue their good form against the All-Ireland champions. There is one change from last week’s matchwith James Barry replacing Cathal Barrett. Congratulations go to all involved with Inane Rovers who receive a Nenagh Guardian Sports Award for their exploits on the Gaelic football fields in 2018. Inane Rovers captured all four North Tipperary “A” titles from under-12 up to minor. Inane Rovers, based in Roscrea, are the only exclusively Gaelic football club in the division and will celebrate their 70th anniversary next year. 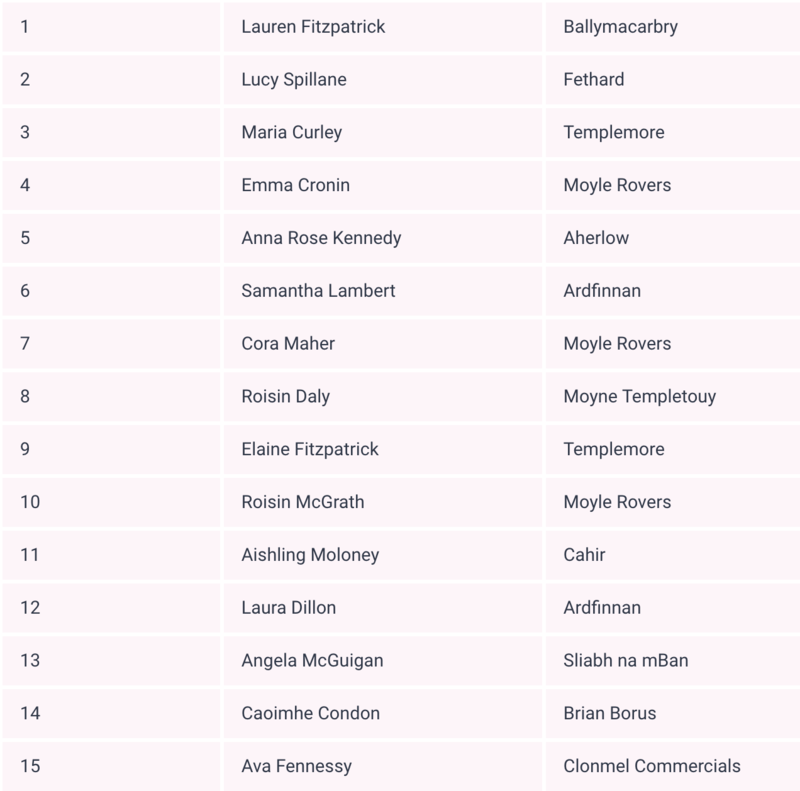 Best wishes to the Tipperary LGFA side who open their Lidl National Football League campaign against Mayo in Swinford Amenity Park on Sunday at 2pm. 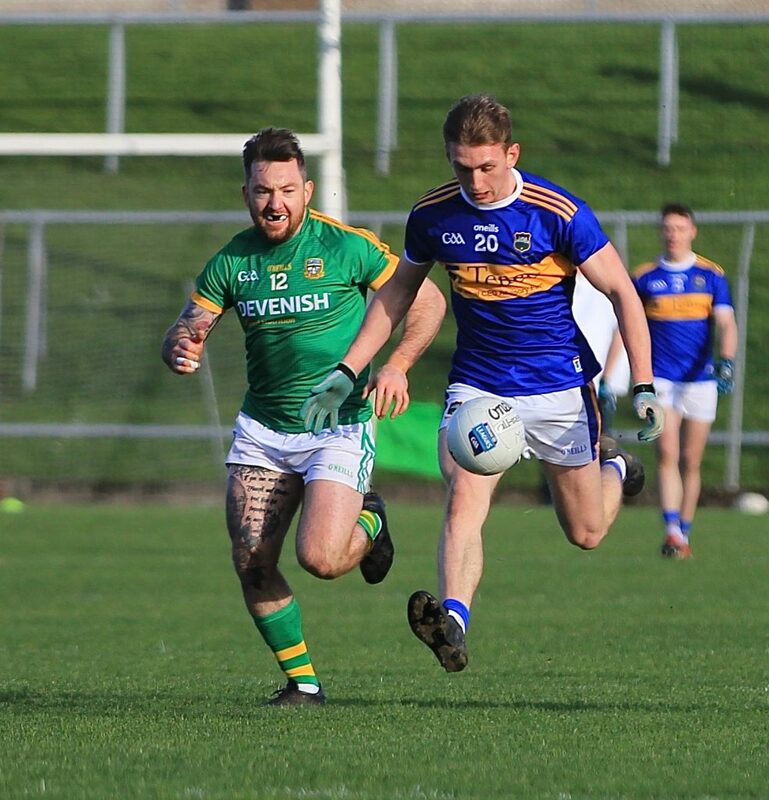 While the team were disappointed to lose their senior championship status last summer they’ll be anxious to prove that they are more than at home in division one in the league. In other news we congratulate Loreto Clonmel who have retained the Munster PPS senior A title following a convincing 1-8 to 0-4 win over John the Baptist, Hospital in the replayed final in Bansha today. The girls now look forward to an All-Ireland semi-final against the Ulster champions. This has capped off a great week for schools’ LGFA in the county after Cashel Community School beat Colaiste na Sceilge on a scoreline of 5-07 to 4-08 in the B final last week.